A RURAL EXPERIENCE is a specialist family run tour business in Co. Kilkenny, Ireland. 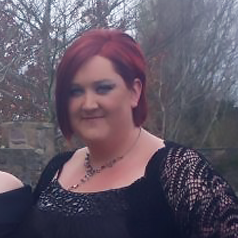 The proprietor, Amy Mc Donald an experienced tour guide who’s passion for Irish history & travel together with her knowledgeable & welcoming family members developed and delivered tours since 2008 to the highest standards. 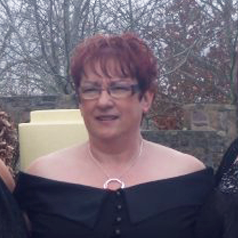 Amy tragically passed away in December 2014 but A Rural Experience remains a family run business. The team design & operate various tours nationwide. Amy studied Irish history in St. Kieran’s College, Kilkenny and while employed as a tour guide in Jerpoint Abbey, Co. Kilkenny & Reginald’s Tower, Waterford she recognized a gap in the market. Thus A Rural Experience was born. 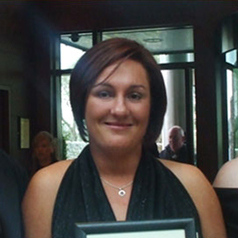 She was a finalist in The Women in Business Awards in 2009. Since commencement of this business in 2008 Amy’s family were closely involved in the progression of A Rural Experience. I cannot say enough about the customer service this team provides. Amy’s Mother. A self-employed business Mentor, assisted Amy in the set-up, legalities, funding and day-to-day operations of this Enterprise. Amy’s Sister, learned the business from Amy by helping Amy with the bookings and organization of Tours while also traveling with a number of groups acting as Tour Guide. She learned well from her Sister and is now the first point of contact. She will gather all of your information in relation to your IRISH WISH LIST, your interests, length of proposed tour and from her experience and close relationship with premium service providers will organize your trip. Her ability to tailor make your trip to suit your individual needs is an Asset to A Rural Experience. REBECCA is the executive front of A Rural Experience. Amy’s Father. Thomas was employed as a tour coach driver & guide for a number of years before joining his daughter in 2010. 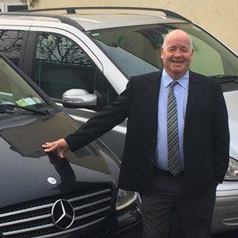 Thomas’s in-depth knowledge of Ireland has proven very popular with guests and he now operates the private chauffeur driven cars. 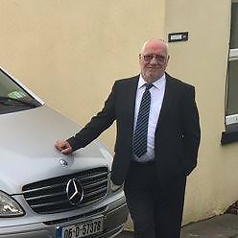 His out going personality & love of Irish folklore & craic guarantee enjoyable tours. Amy’s Uncle is Tom’s Brother and together they offer tours filled with warmth and fun while based on their depth of knowledge and experience, tours will surpass clients’ expectations. Keep up to date with all the latest news and offers from A Rural Experience by following us on our Facebook page. You can read more excellent and honest reviews for A Rural Experience on our Tripadvisor page.